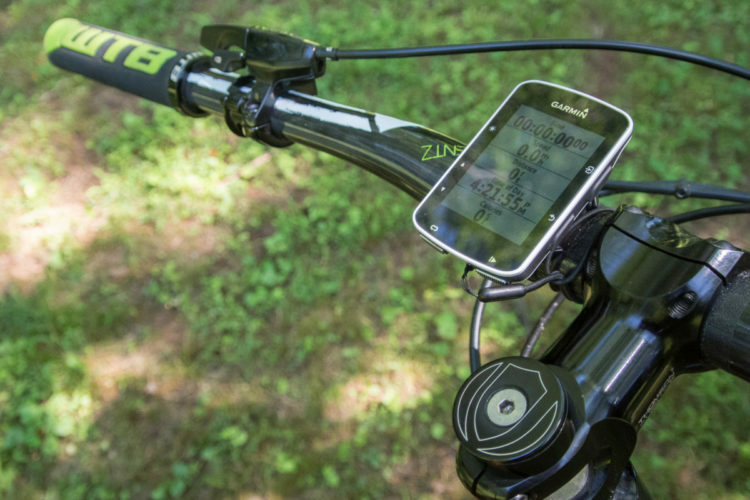 I’ve always been a fan of the Garmin Edge series of GPS devices for mountain biking but to be honest the color screen units (605 and 705) always seemed overpriced for the feature set. This year the company is planning to release the Garmin Edge 800 and at an MSRP of $449 (sans basemaps) it sits right between the Edge 605 and 705 – but adds a color touchscreen to the mix. Unless you live under a rock, you’ve probably interacted with maps on your computer or even your phone where you can drag and zoom maps using a mouse or even your finger. In my opinion this is the most intuitive (and quickest) way to understand a map so I’m stoked to see the touchscreen make its way into a cycling GPS. At Interbike I got a chance to play with the Edge 800 a bit and found that it does a decent job, though the screen resolution looked a little chunkier than the 705. 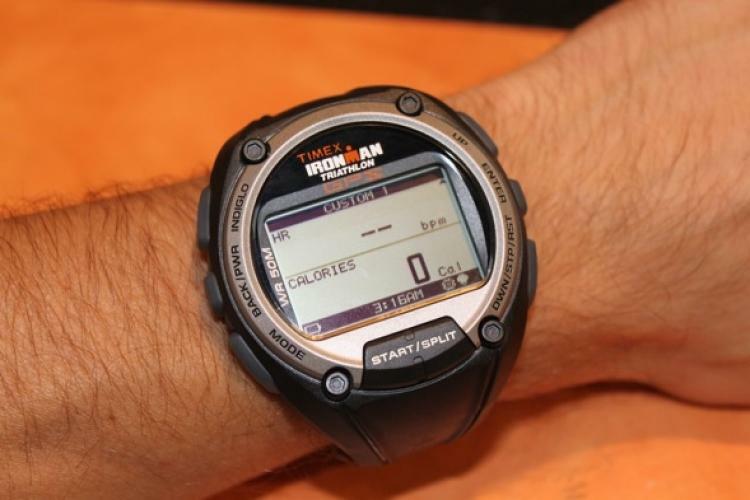 According to Garmin, the Edge 800 screen resolution is 160×240 while the Edge 705 has a 176×220 pixel screen – but the Edge 800 screen is more than 30% larger which means the pixels are indeed fatter. The Edge 800 basically has just two buttons as opposed to the 705 which has 7 buttons and a joystick. Menus on the Edge 800 are navigated using on-screen buttons which could be a problem for gloved hands or sweaty fingers (though we need field tests to see if this is indeed the case). To drag the map screen to preview upcoming terrain you need to click a button on the map screen to “unlock” it. Overall the Edge 800 is a good bit smaller than the Edge 705 and the screen essentially takes up most of the face of the unit. 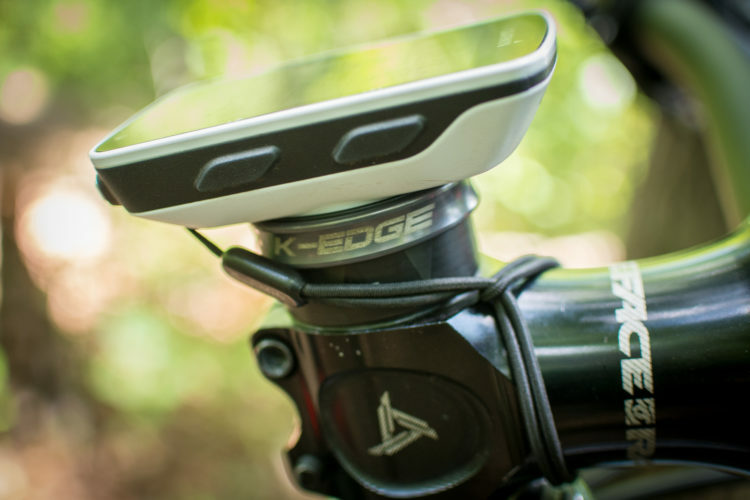 Like the Edge 705, the Edge 800 is ANT+ compatible with Garmin and third party accessories like power meters, heart rate monitors, etc. 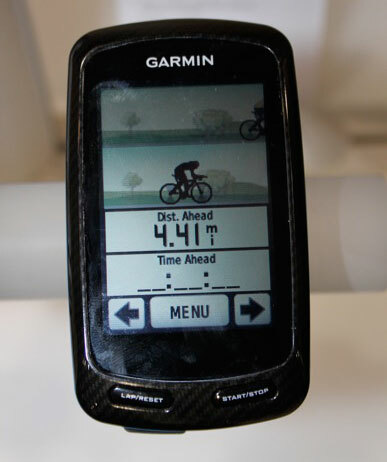 Images at garmin.com also show what appears to be a new connector mechanism – let’s hope it lasts longer than the bar clips the Edge series currently uses. 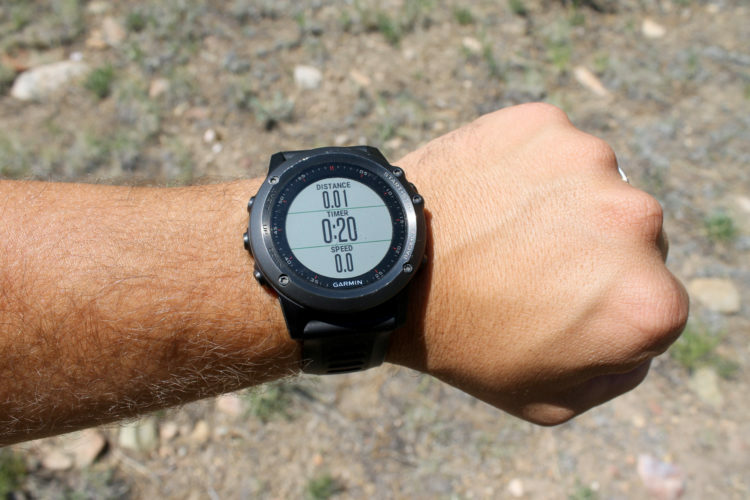 Garmin says the Edge 800 should ship sometime in Q4 of this year though don’t hold your breath – anyone remember how long it took for the Edge 705 to arrive after it was announced? And while the base unit is $449 you’ll need to pony up another $200 ($649 total) to get the “Navigation Bundle” which basically contains all the basemaps you need (it looks like there will be a separate version that includes topo data and trails). 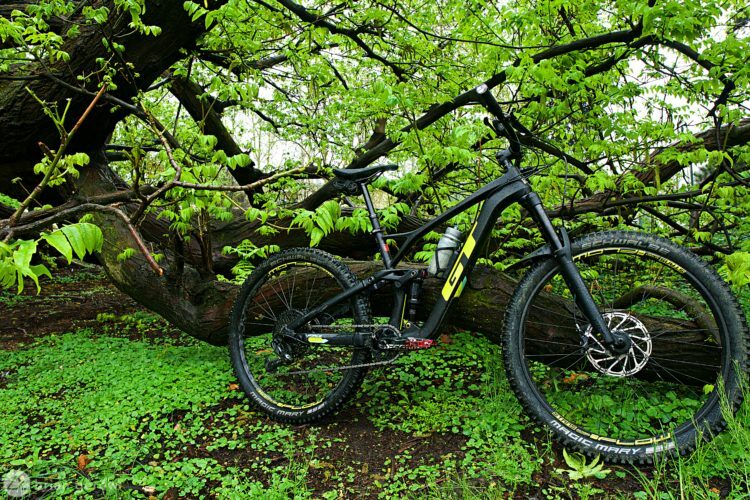 We’re stoked to find out more about the Edge 800 so we’ll do our best to keep you posted on the latest! 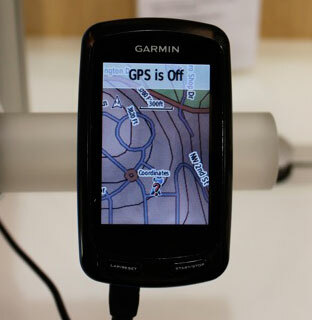 Why does Garmin sell the gps with out the maps included? seems like they are ripping us off. Agreed. 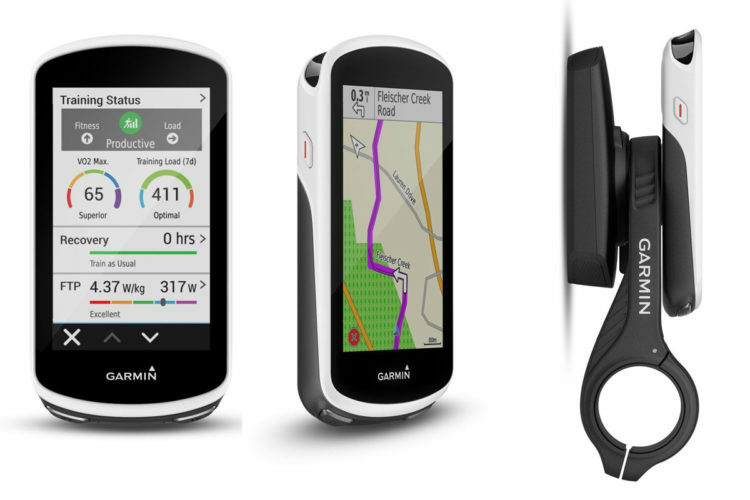 Last year we got word about a product “innovation” from Garmin which was basically just a GPS bundle that included the maps. Garmin doesn’t sell vehicle GPS systems without maps so it’s surprising they do this with cycling and outdoor units. Part of it could be to get around sticker shock since $449 sounds like a better option than spending $649 for a bike GPS. Geez look at those finger prints! 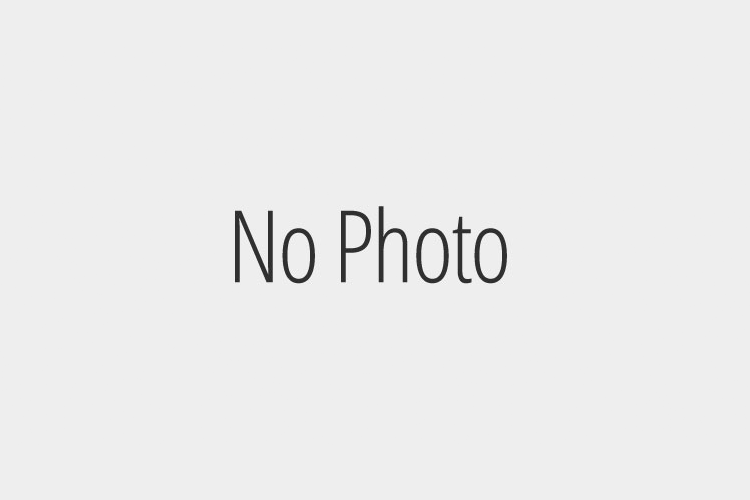 You should also review the Garmin Edge 800 Screen Protector from xoskins. They are only $10 and stop finger prints and scratches. On their site video they take a dremel to one and it doesnt get through. These are the only military grade ones I have seen without the orange peel look or rubbery feel.